When the idea for the Volkswagen Type 1 was being turned into a reality in the 1930s, wooden body frames were still the norm not only in Germany but also in Italy, America and elsewhere. But the Type 1 project, eyeing durability and mass production, based its plans on using a pressed steel body from the outset. That effort paid off, as it produced a light, streamlined body with low air resistance. It also made it easier to mass-produce cars with a high level of precision. Pride in its long history means the Beetle went through relatively few model changes. The basic design motif “a rounded body with distinct fenders” was unchanged from the first model, and that cute appearance has charmed many people. The first model featured a split rear window that fit with the rounded body. 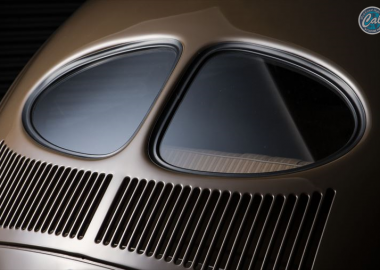 Because of widespread criticism about its bad visibility, the window was changed to an oval type in 1953, and this model was nicknamed “the Oval”. That one word alone conveys a multitude of subtle design differences. 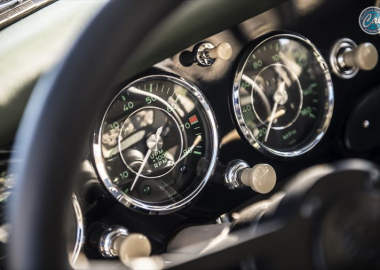 For VW lovers, it is only natural to want a truly genuine vehicle, and there are more than a few enthusiasts who understand all of these subtle differences. The first period of the oval window era lasted until the 1955 version. Its distinctive characteristics include such details as the so-called “heart tail” tail lights, semaphores, swage line inside the door and door handles. 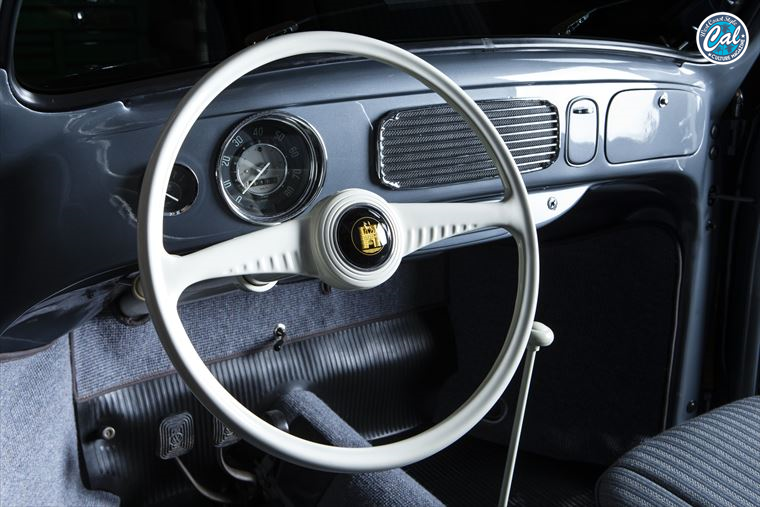 The1954 Type 1 introduced here is an early-era Oval that has just been thoroughly restored by Bob Corporation, with close attention paid to the model year. 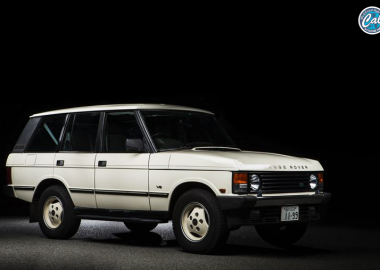 The base car came to Japan from America quite a long time ago, so even though it was the golden age of the “California look,” it was still in its original state. The decision was thus made to restore it to the condition and style it was in when it was new. Missing parts were newly supplied and restoration began from the ground up. The engine was repaired at the same time as the chassis. The 1200cc stand engine was rebuilt, and the generator replaced with 12-volt versions (without sacrificing the vehicle’s authentic appearance). With an eye toward drivability, the wiring was converted to 12-volt, too. Happily, the body was not so degraded body, so it did not need heavy metal work. A bit of delicate repair brought out the authentic body, and it was repainted using official VW paint in strut silver.The seats are the only part from a different year, but West Coast Classics provided a matching seat cover, completing the car’s transformation so that now it could be mistaken for a new car. Copyright CHRONICLE BOOKS JAPAN CO., LTD. 2017 All rights reserved. Copyright © Cal Online ｜キャル・オンライン All rights reserved.